3. 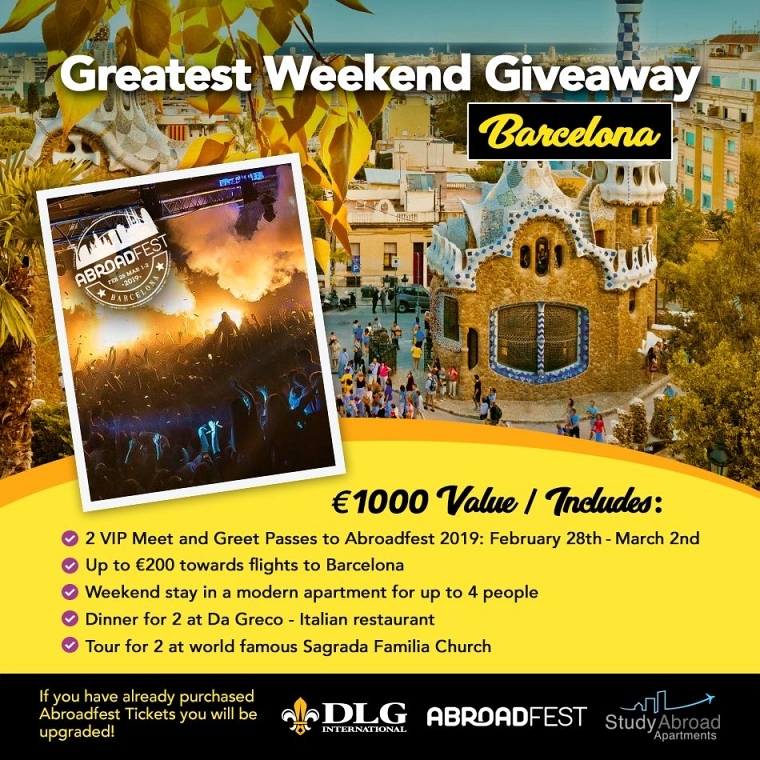 Tag both DLG and SAA in a post on your Instagram with the person you want to take to Barcelona! 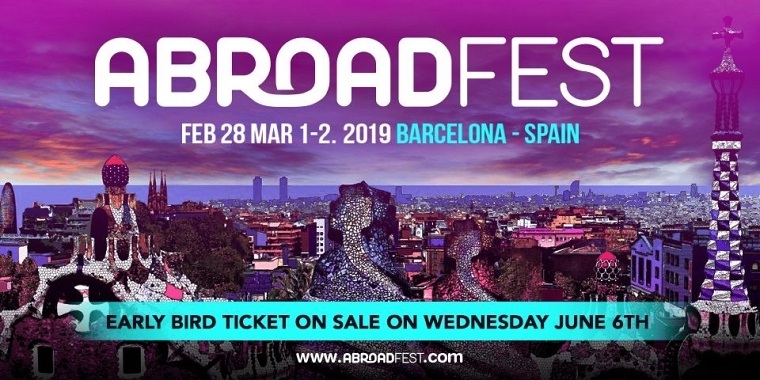 Early bird tickets for Abroadfest 2019 are ON SALE NOW! 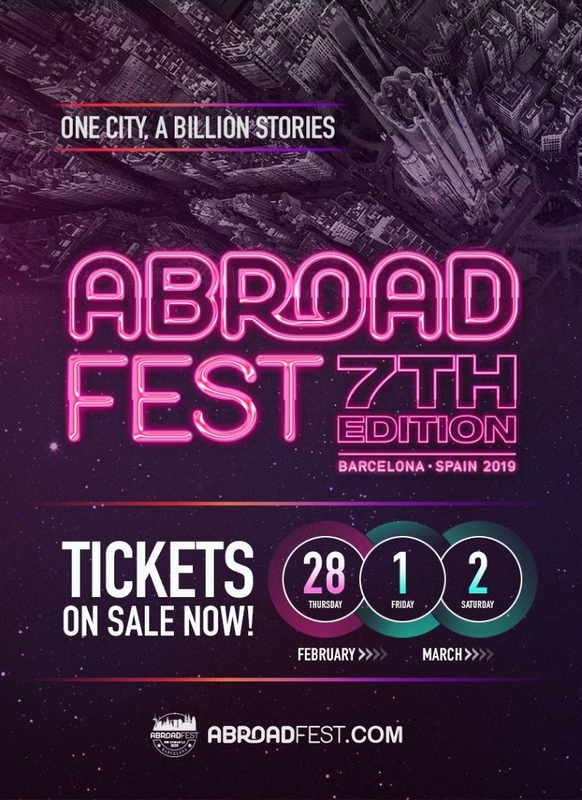 Abroadfest is the party destination for all students traveling abroad and a opportunity to see some of the worlds hottest acts and DJs! 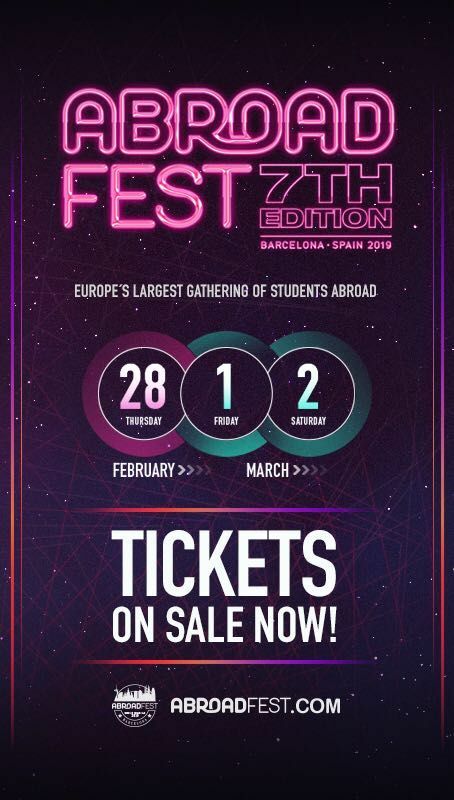 Europe's biggest festival for college students abroad. 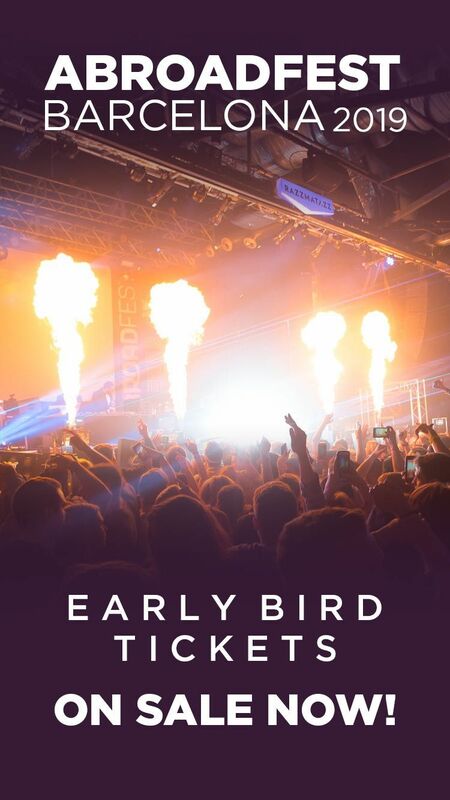 Join a unique weekend of culture, music and friends!